When my kids were little, I celebrated everything I could think of--George Washington's birthday, Groundhog's Day, Valentines, St. Patrick's day...and on and on. Since we lived overseas, far from extended family, we celebrate all their birthday with a cake, candles and a song on the day! Celebrations create joy, happy memories, and--usually--dessert! So why not celebrate St. Patrick's Day this year? It not only adds to the fun, but there's a missionary story involved that's worth letting your family in on. For the Littles (and not so littles): Green Milk--Every year when my kids were at home, we would have cereal for breakfast on St. Patrick's Day. Since our milk came in bags, I always poured it into a ceramic old fashioned milk jug. On St. Patrick's day I added green food coloring. The first one to pour them milk was usually surprised! I had fun watching their reactions. As they got older, they knew to expect it, and my oldest son repeats it with his children now. 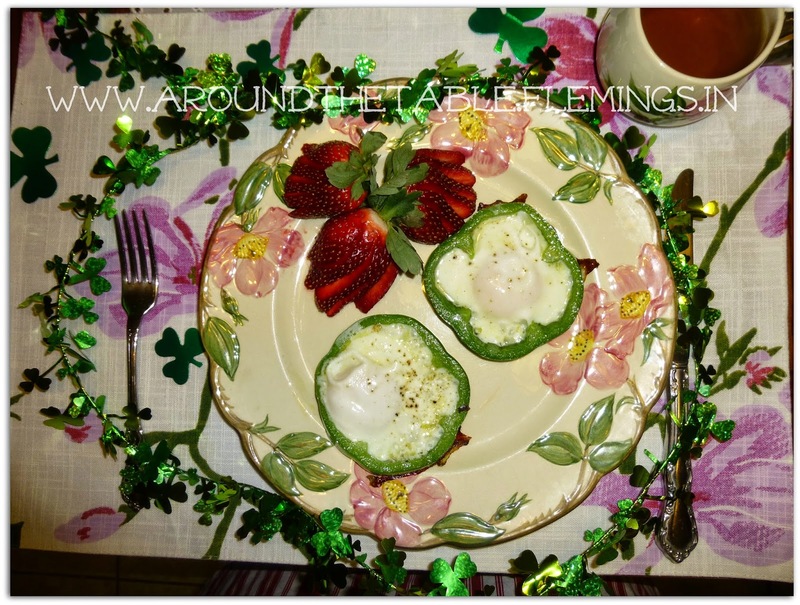 Grown-Up: Shamrock Eggs--I tried this and it actually works! 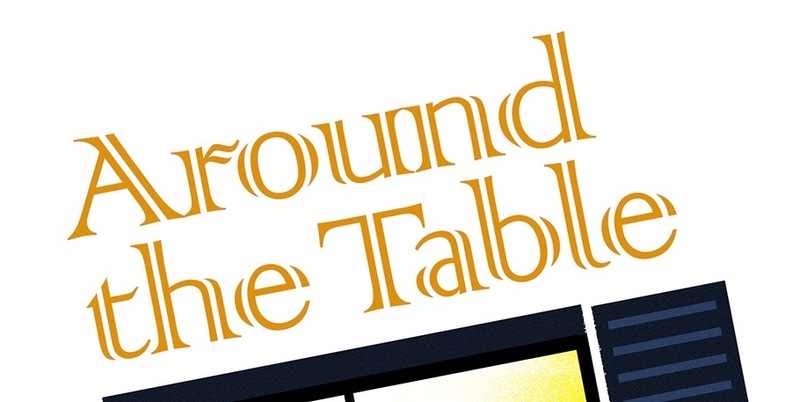 It probably requires a grown-up palate, but my husband and I loved it! For the Kids: Lucky Charms and Green Milk--My grandkids love eating little snacks where you pick up one at a time, so how about serving Lucky Charms cereal in a muffin cup (extra points if it's green!) along with milk (maybe green, too)? For the Family: Leprechaun Photo Shoot--With these printables your family will have as much fun as a barrel of leprechaun's taking pictures together! For the Bigger Kids: A Treasure Hunt! --When my son was a freshman in high school we hosted a St. Patrick's Day party that included running all over the neighborhood for a treasure hunt. This link has pre-written clues for an indoor treasure hunt. If the weather is warm enough, you can have the kids go further abroad. The prize? A "pot" of gold (foil covered chocolate coins). For the Littles: Shamrock Stamping--even my young granddaughter had fun with this one! When my kids were little I had them paint shamrocks on the kitchen window for me. They had a great time and washable paint is so cleanable. 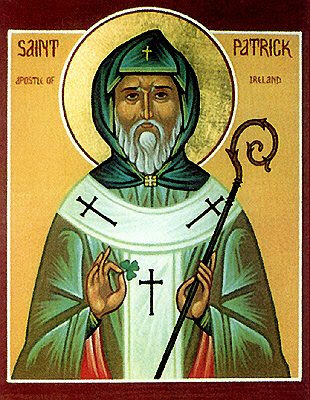 For the Family: The True St. Patrick's Story--My daughter-in-law wrote this story to explain who the real St. Patrick was to her preschool class. It is one of my most popular pins on Pinterest! But I think it would work with any family for a change of pace family devotion. I hope you have a wonderful St. Patrick's Day. I know that the world thinks this is a day to drink (green) beer or Guinness, but then the world pretty much thinks that any celebration requires drinking, even to the point of getting drunk, but I really can't imagine that's fun. It's so much more fun to laugh and talk and connect with the people we love. 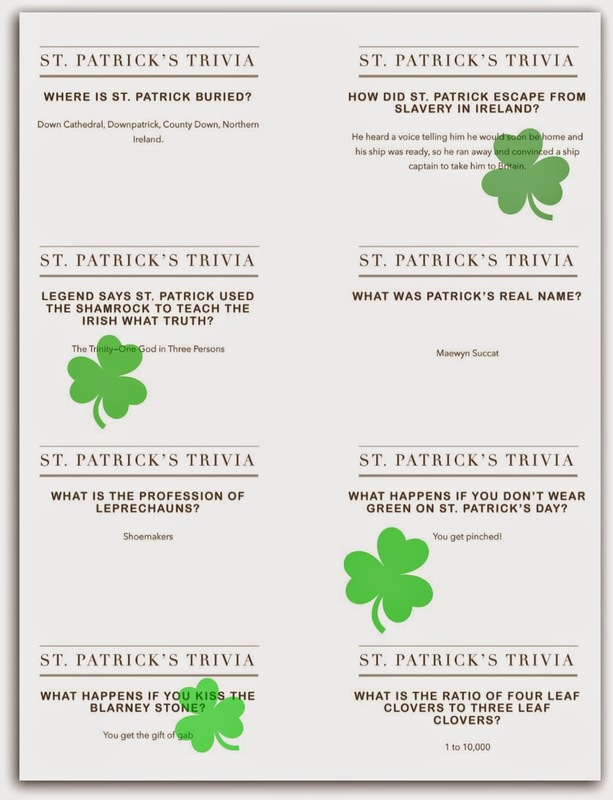 So my St. Patrick's Day gift to you is St. Patrick's Day Trivia Questions in the form of printable cards. 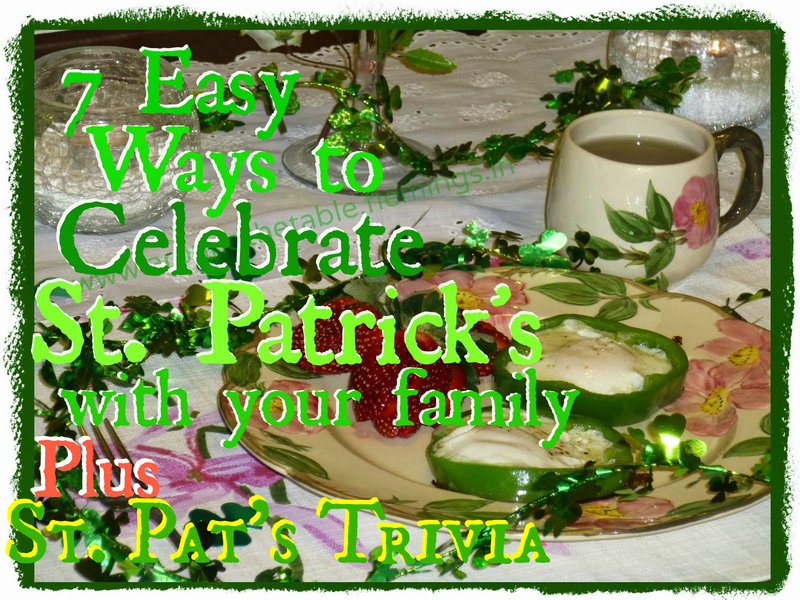 You can take turns asking these questions to your family or friends around your table on St. Patrick's Day. And don't forget to wear green. 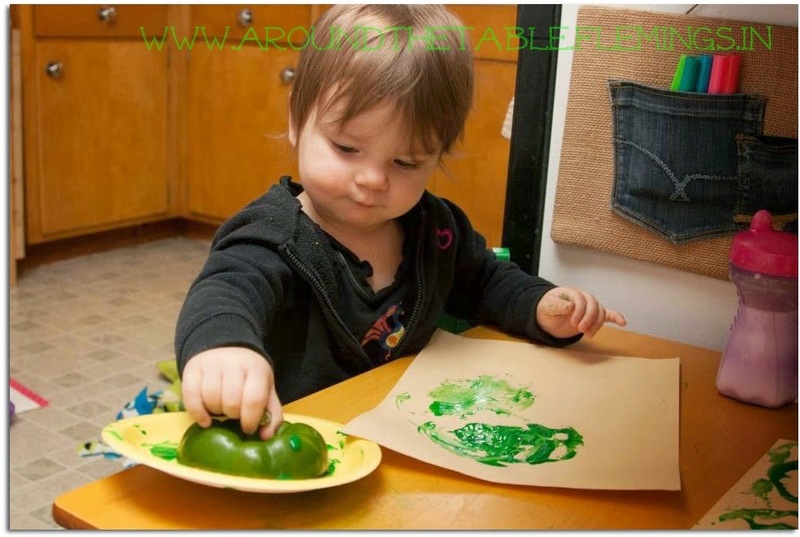 And what a great idea to have kids us the green pepper for a stamp. 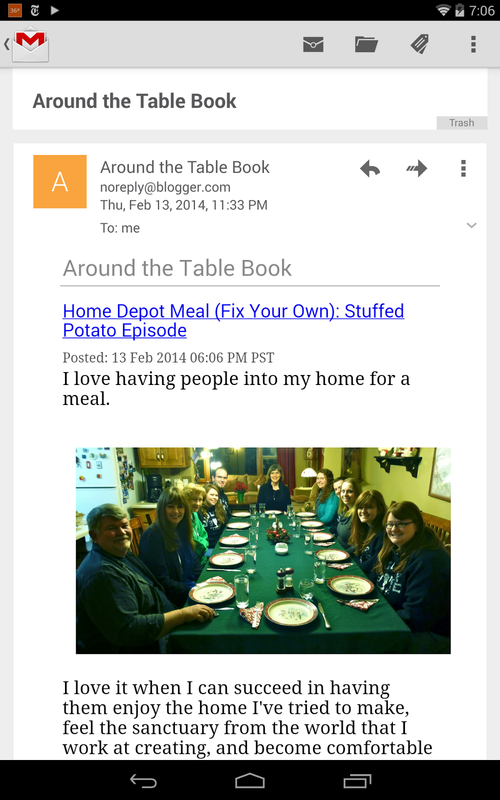 What fun ideas you have for the food & crafts! My grandkids would love these treats.